Days after Wellington, New Zealand, suffered a 6.5 earthquake, four animators at Newtown Movie School tell the real story of why the earth moves. This was the feature animation produced at the Alien Invasion Stop Motion workshop in July 2013. The stop motion was produced by four animators over two days. 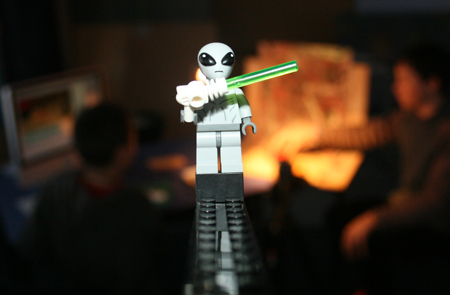 See other stop motion movies from the 'Alien Invasion' workshop here. See also these Alien stop motion movies with a similar style: The Trouble with Green and Alien Fishing.